From claims of “fake news” to the popular TV show Myth Busters to the website snopes.com, the world seems to be full of distracting falsehoods; yet, people appear to be concerned with finding the truth (in most cases). However, their pursuit of truth is constantly bombarded by suspect sources with misinformation, inaccurate representation, and straight-up lies. It seems as though anything is fair game, and it is up to the individual to seek education from respected and recognized sources. In the tilt-up industry, managing misinformation is old hat. As a relative newcomer to the construction world (c. 1904), the tilt-up construction methodology was quickly surrounded by myths that constrained or confined the creative vision and decision-making process for design and construction professionals. Most myths could be blamed on a lack of awareness for the achievements found on a global level. Some were, in part, a product of misinformation campaigns; other myths were related to its dominant use for industrial, single-story buildings that inherently confine (due to being economical) the exploration of creativity. Many myths perpetuating limitations of the tilt-up system were related to the on-site nature of its construction. These myths, however unique to tilt-up, are not unlike myths held about any other construction system – systems such as precast, masonry, cast-in-place, etc. Consequently, the tilt-up industry spent decades repeatedly dispelling these myths by exposing markets to best practices and technological advancements, allowing for unsurpassed quality, unrivaled design flexibility and limitless application. The continuous spread and growth of the industry is, in part, thanks to these efforts. While the majority of U.S. and Canadian markets have evolved to employ tilt-up without limitation or confinement based on distorted facts, remnants of these myths can be found today in certain emerging markets. Disturbingly, they are also beginning to pop up in some circles where the established market share is being challenged by other systems. Naturally, if left unattended, history tends to repeat itself and distorted myths do trend toward becoming unchecked facts. This article presents many of these fairly common statements to assist in acknowledging and capitalizing on the full potential of the tilt-up method. With the transition into the industrial age came the perception that quality was best achieved in controlled, repetitive environments. Therefore, the manufacturing plant became the incubator for much of the perceived technological advancement, propagating a marriage of economy and quality control. Tilt-up, however, uniquely offers a third important component to this industrialized interest, one that returns craftsmanship to the equation. Many tilt-up construction companies today employ technological advancements to achieve the greatest accuracy and quality control while still maintaining the freedom to craft each panel individually (if necessary) within the building elevations. This affords a combination of maximum panel-size flexibility, a variety of openings, and configurations of façade texture or rhythm. One of the devices achieving this effective combination for accuracy is the robotic layout stations. These devices accept the finely tuned casting layouts for the complete building elevations as input and easily convert this input to points placed anywhere on the job site with exacting tolerance. There is no better evidence of the construction quality afforded by tilt-up than the winners of the Tilt-Up Concrete Association’s Excellence in Achievement Award. Learn more about these amazing projects at www.tilt-up.org/awards/achievement. The record for the world’s tallest tilt-up panel was shattered in 2016 when Woodland Construction Co. of Jupiter, Florida erected a 111-foot, 9-inch-tall panel. 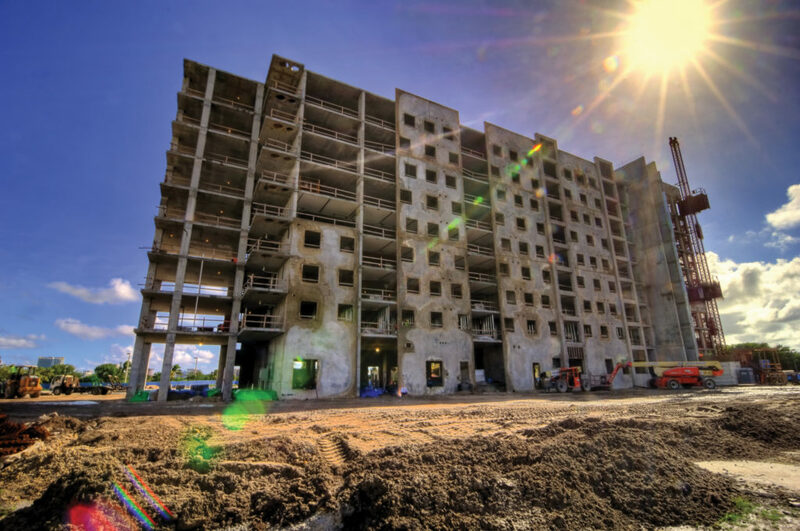 That record-breaking panel forms part of a nine-story, 600-bed dormitory for Florida International University at their Biscayne Bay Campus located in North Miami, Florida. While this record seems at first glance a bit extreme, it is not too far off from a fairly typical tall panel height exceeding 80 feet. Today, six-story office buildings, and even taller hotels and dormitories, are not uncommon. While some projects employ full-height panels, others explore various configurations of vertically stacked panels. This myth is rather comical, as panel size is a tremendous advantage of tilt-up construction. Without restrictions related to transportation, tilt-up panels are limited in size only by crane availability. Bracing technology has thus far been able to keep pace with the soaring panel heights. 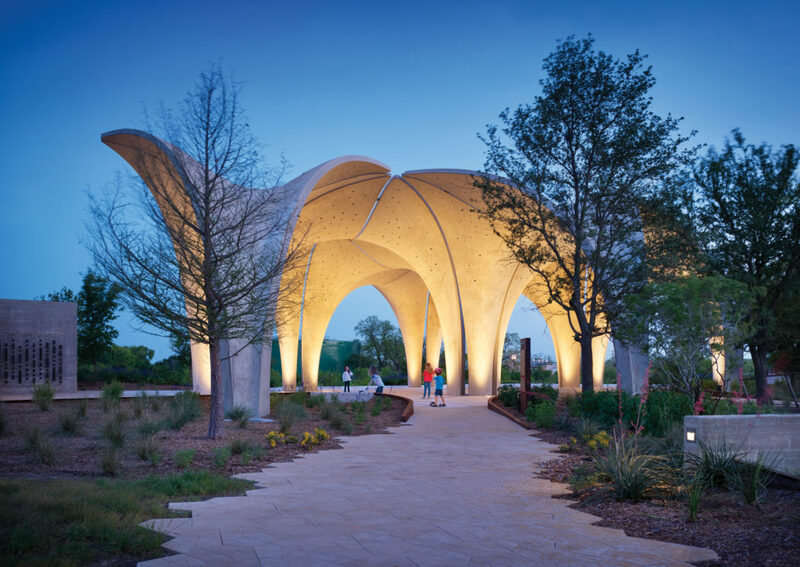 The Tilt-Up Concrete Association publishes a collection of top-ten lists showcasing achievements in panel height, width, weight, and more. It is available at tilt-up.org/top-ten. Pigeonholed by the system’s early success as a method for constructing big-box buildings, despite its high-design pedigree, tilt-up was once considered to have limited design potential. By the late 1970s and early 1980s the method had a strong big-box stigma that turned off many architects. In the early to late 1990s, world-class architects began to engage the technology to create significant works of architecture. More recently, the nexus of downward economic pressure on construction costs and the need for accelerated construction schedules have fueled opportunities for tilt-up to morph into new, more complex building types and challenges. Today, a wide variety of building types, applications and explorations are being undertaken with tilt-up technology. Schools, retail centers, libraries, churches, office buildings, hotels, theatres, dormitories and more are being built with tilt-up construction. No “big dumb box” limitations seem to remain. There are formal experimentations in the height, profile, and shape of panels; there are curved panels, variations in panel depth, the ability to produce what has been called a voluminous wall, variations in panel thinness, endless potential for assembly strategies, apparent or actual visual density through layering, use as actual structural effect, planarity versus volumetrics choices, and transparency, to name just few of the creative manifestations. Combined, these experiments promise great things. For a more in-depth review of this topic, refer to “Tilt-Up as a Re-emerging Design Technology,” a video published by the Tilt-Up Concrete Association, available at www.tilt-up.com/construction. Weather undoubtedly impacts construction schedules, that is a fact. However, the idea that it inordinately affects tilt-up job sites is false. 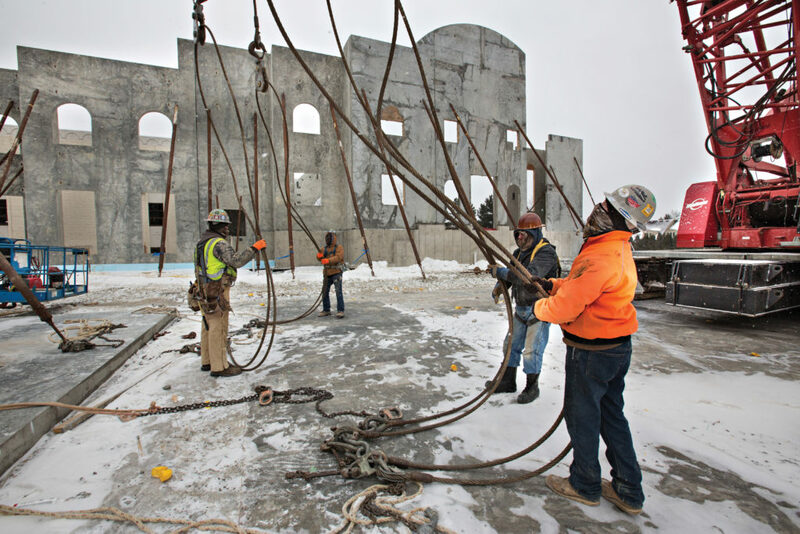 Cold weather is a normal construction provision that every form of construction must consider. Even the erection of structural elements that have been brought to a job site is impacted by the severity of, and specific climactic conditions during, cold weather months. While cold weather has specifically been cited as a hindrance to tilt-up, this is largely based on the idea that cold weather significantly delays the strength gain of concrete, thereby resulting in scheduling delays. Additionally, it has been proposed that concrete quality is sacrificed during cold weather conditions. ACI 306R has undergone significant evolution over the last decade to recognize current cement and concrete technology, as well as to include the practice of using cold-weather concrete, which has been used on countless projects constructed each year throughout the northern United States and Canada. Under current practice, concrete mixtures follow a performance design approach coupled with protection measures to achieve the maturity required for three specific stages. The first stage is achieving 500 psi prior to first freeze, as indicated by ACI 306R. The second stage is achieving the required modulus of rupture for the panel erection to begin as noted by the panel design book. The third stage is achieving the final design strength as required by the project specifications. By adjusting cement type (water/cementitious material ratio), delivery temperature and placement timing, the concrete is able to achieve a benchmark of 500 psi in sub-zero temperatures. Further protection by means of maturity monitoring, radiant heating, blankets, auxiliary heating through tents, etc., have given contractors many tools by which they can invest in the appropriate system solutions necessary to plan for cold weather and ensure schedules are maintained. The Tilt-Up Concrete Association publishes a database of projects from all parts of the globe at www.tilt-up.com/construction. There you will find many examples of projects in a variety of climates. While the building slab is often employed as the casting surface for tilt-up panels, as well as being the surface from which the crane erects said panels, contractors have many strategies at their disposal to limit or even eliminate the impact of tilt-up operations on the slab – strategies they can carefully employ or not, depending upon the end use, the project team’s preference, and site constraints. Often, panels are erected from the outside of the building, eliminating the crane loads on the building slab. This is done regularly when adequate room is available for a crane access road. Occasionally, a tilt-up contractor will use crane mats or drive the crane on top of panels to avoid contact with the building slab. Alternative casting locations, including recyclable castings slabs, that leave the building slab virtually untouched by the crane or panel-forming operations are employed regularly on job sites of all sizes. 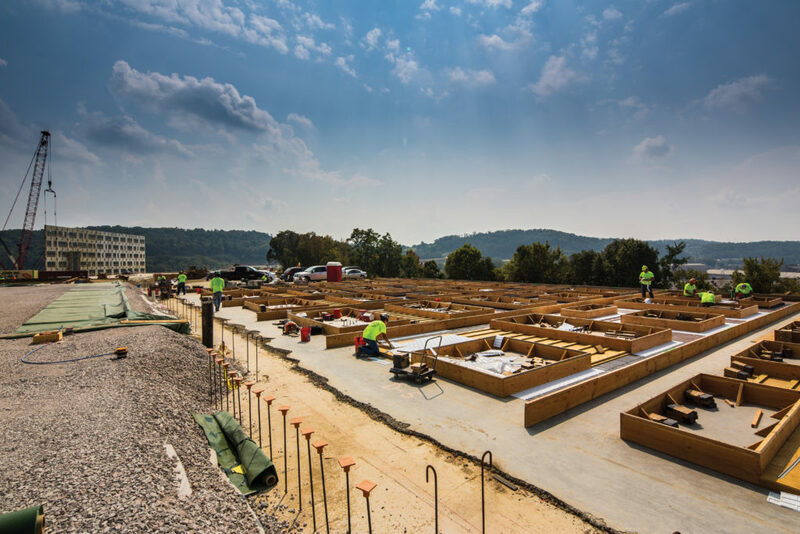 Where panels are formed on the building slab, advancements in adhesives have afforded contractors the option to secure formwork to the slab without hardware. In almost every scenario, then, this is an issue that is easily managed by the project team. 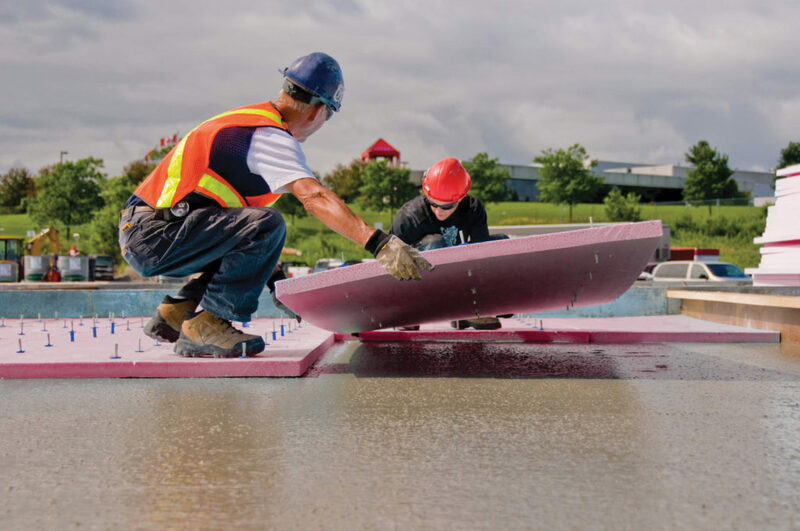 In fact, where specifications do not call for an especially high-performance slab, the owner may receive more than expected when it is used for casting, as tilt-up contractors take extra care to ensure a perfectly smooth and flat work surface. 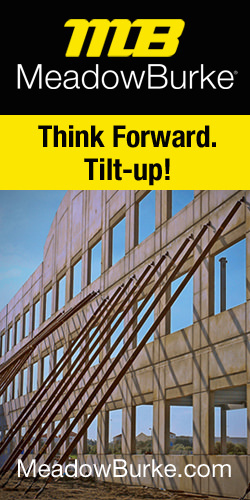 Learn more about the basics of tilt-up at www.tilt-up.org/construction/basics. Most of the exact same systems manufactured to insulate plant precast, cast-in-place and even masonry projects are available to the tilt-up industry; in fact, many systems have tilt-up-specific variations. Meeting the continuous insulation requirement of the International Energy Conservation Code is made simple and efficient with insulated tilt-up sandwich panels. With larger panel sizes meaning fewer joints, tilt-up buildings are often the highest-performance envelopes available. Of course, any applied insulation systems would be identical, regardless of comparable building system. For a list of TCA member companies supplying insulation systems to the industry, visit www.tilt-up.org/products. As outlined previously, the majority of U.S. and Canadian markets have evolved to employ tilt-up without limitation or confinement based on distorted facts. In many cases, one need not look any further than down the street for evidence that contradicts these bits of misinformation. However, it is important to reinforce, and continue to underline, the inspiring feats of craftsmanship and the extraordinary advancements in technology that have afforded the tilt-up building system its current success. 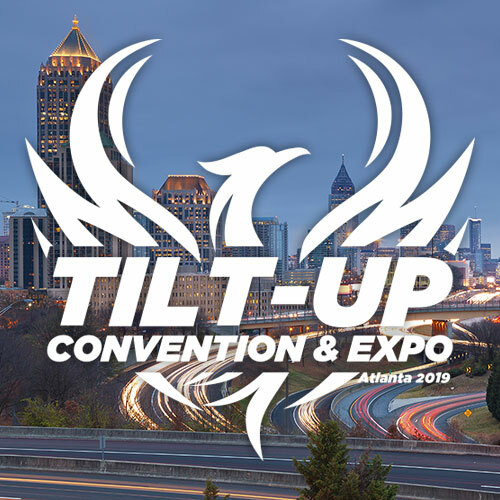 Should education or resources specific to any aspect of tilt-up design or construction be needed in your market, please reach out to a board or staff member of the Tilt-Up Concrete Association. Those contact details can be found at tilt-up.org/leadership.